Sometimes you’ll need to submit projects according to company standards, but you might not sure what they are or where to begin. 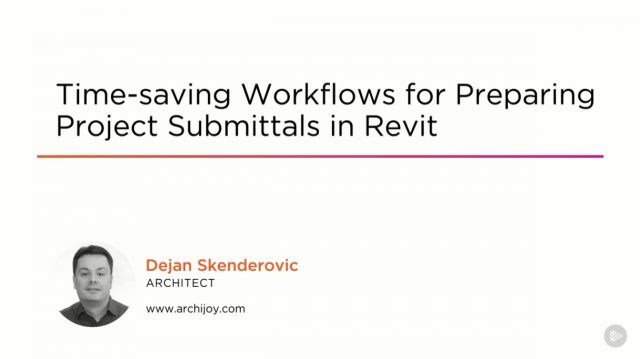 This course, Time-saving Workflows for Preparing Project Submittals in Revit, will teach you workflows to save time on submitting projects. First, you’ll discover workflows for setting up view standards. Next, you’ll set up detail, interior, and exterior views. Finally, you’ll complete the submission to hand off for approval. When you’re finished with this course, you’ll not only have a knowledge of preparing submittals, but some time saving techniques as well. Required Software: Revit 2016.